The Corvian Community School's Baseball team reached another milestone this week. In only its second year of existence Corvian pulled out a split of a double header vs Greystone Day. Greystone is currently the second best team in the conference based on record. The Corvian boys picked up a 2-1 win in the second game that gave the team their 4th win of the season, doubling the number of wins from last season. The team was led by strong pitching from Cash Barber who went the full 5 innings, each game is 5 inning for a double header, only giving up one run and striking out 6. The offense was led by Jared Barciszewski and Daniel Fisher whom both had two hits on the day. Daniel scored the first Corvian run in the 4th inning on a single by Joseph Gustafson-Brown and Jared drove in the winning run in the top of the 5th inning plating Cole Fiorillo who reach base earlier on and error by Greystone. In the bottom of the last inning Corvian was able to get the first out of the inning but Greystone’s second batter singled to make things interesting. Covian’s defense stepped up when Harrison Lyons made a really nice catch in left field on a line drive that was caught just before it hit the ground. 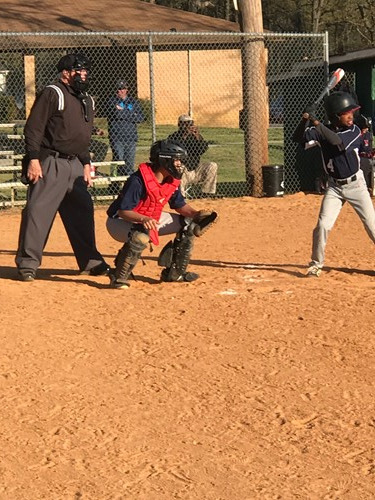 The last out was recorded by one of our 6th graders, whom are contributing to the team this year, Jackson Gilmore caught a pop fly in right field to end the game. What made this win even more special is that the team was able to pull out the win without two of its top defense players (Daniel and Ben Childers) not playing in the field due to injuries or soreness. The team is currently 4-5 with three more games to go in the regular season. Check out our calendar for upcoming games.